Thanks so much for having me Anna, I’m thrilled to take part in Authors for the Holidays! 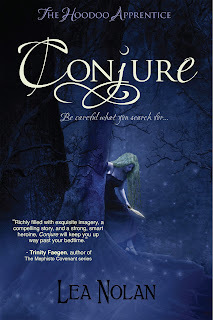 I’ve got a great give away to share with your readers, but first I wanted to share a bit about my YA book CONJURE, book one in The Hoodoo Apprentice Series and a little Christmas-themed hoodoo magic. 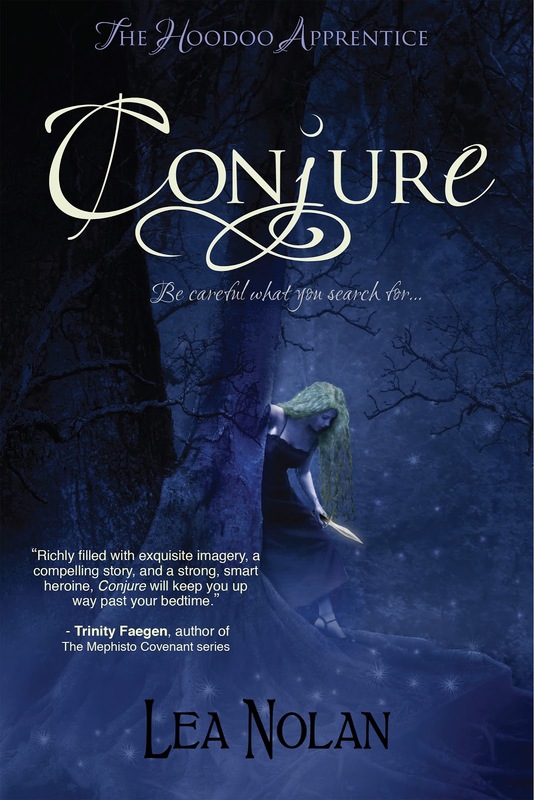 In Conjure, Emma Guthrie learns Gullah hoodoo magic to combat The Creep, a wicked flesh-eating curse that threatens her brother’s life. Hoodoo is an African-American folk magic prevalent in the southern United States. Plants and roots are the most important elements in both hoodoo medicine, which is used to heal ailments, and in hoodoo spells cast for magical ends. Frankincense is used in all kinds of spiritual rites, including for consecration and intensification of other elements. It’s also used to empower magical oils, perfumes, and mojo bags, as well as to increase the power of a root worker’s conjure. Myrrh gum is one of the holy incenses of the Bible. Its scent is often blended with others to promote peaceful, healing, relaxing sensations, as well as to be protective and to stimulate sensual love (ooh la la!). When mixed with sandalwood, it’s purported to restore good health. To bring peaceful sleep: Place frankincense in a white bag and tough it to your forehead before you go to bed; it will bring deep sleep without restlessness. To summon a spirit: Set out a glass of water with dissolved black salt. Light a black candle dressed with Black Arts Oil and burn a large amount of frankincense mixed with Black Arts Incense on charcoal. You can then call the spirit into the water glass. It will stay there and you can question it. So the next time you’re in church and smell these delicious incenses, think about all their other uses! And now for my giveaway! I'm giving away a CONJURE swag pack that includes a signed bookmark, silicone bracelet, magnet and a set of adorable pirate cross and bones earrings! Contest is open to International. Entering is easy peasy, just leave a comment below and fill out that Rafflecopter. One lucky winner will be picked at random. Lea Nolan couldn’t read until the third grade. After a lot of hard work she finally got the hang of it and quickly learned the best way to get out of doing chores was to tell her parents she was reading. Soon she was hooked, devouring books by Roald Dahl, E.B. White, Judy Blume, C.S. Lewis, and anything with a shiny Newberry Award sticker on the cover. Books provided a portal to enchanted lands where anything was possible and characters relied on their wits to wiggle out of sticky situations. Today, even though she’s all grown up, Lea writes the kinds of stories she sought as a teen--smart paranormals with bright heroines, crazy-hot heroes, diabolical plot twists, plus a dose of magic, a draft of romance, and a sprinkle of history. She holds degrees in history and women’s studies concentrating in public policy and spent fifteen years as a health policy analyst and researcher. 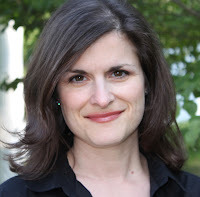 She lives in Maryland with her heroically supportive husband and three clever children, who’ve figured out how to get out of doing their chores. Check out Lea's guest post and leave her a comment! Open Int! Have you heard of hoodoo before? What did you think of learning your first spell? 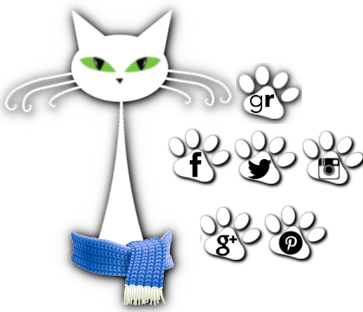 You write about hooodoo and other magickal things....do you practice? Or is it the just subject matter you love to write about? I look forward to seeing how you incorporate it into your books! I agree with what comments I have seen though. Any type of magick or hoodoo isn't something to mess with unless you are well trained. I grew up being taught by my great grandmother since I was 5 years old :-) There is still a lot for me to learn and a lot I won't attempt. Whew the more I read about your book the more I want it! I definitely understand! You shouldn't ever do anything you're uncomfortable with, especially in magic. And hopefully, anyone wishing to contact a spirit would be for a loving, constructive reason. I don't know about hoodoo magic and spells. I don't mind reading about it but would never play around with it. Sorry! I guess I'm not that much of a risk taker :). As for hearing about hoodoo, yes I've heard of it but don't know much about it. And since I won't be using it that's ok. I would read the book though. I love reading about hoodoo, and there might be some minor spells or charms I'd try myself -- like the one for peaceful sleep -- but I'm probably too much of a chicken to try some of the more serious ones. It's much easier to just write about them! I have a friend who is a practitioner and he told me to remember the rule of 3 before you dabble... I'll read about it but won't dabble..
No, I haven't heard of hoodoo spells before. I've heard of hoodoo, but I wouldn't mess around with spells, you never know what you're getting yourself in for when you don't know what you're doing. I've spent many vacation in the low-country, what fun to read this story set there. Heard of Hoodoo spells but have never dabble into doing any of it. I think if I knew someone that did have an understanding, I would like to learn. If there is anyone around my small town that does any of this, they keep it hidden well. Same here CBarton. I don't know of anyone around here but you never know. In the book it was done very nicely with Emmaline having a mentor of sorts who knew exactly what she was doing. LOL. It sounds like we've got a lot of ladies that respect the hoodoo and aren't going to mess around with something they don't know. I'm right there with them. Loved how it was done in the book and reading about it but no way am I messing with it! Thanks for being part of the event Lea! You are most welcome, Anna! And thanks for having me again! I completely agree, magic is certainly something to respect. I'm always interested in voodoo/hoodoo. I bought a friend of mine a type of voodoo doll for older people with pins to stick in parts of the body. These were for ailments such as arthritis, false teeth, etc. More on the funny line. The Hoodoo I've heard about is from various parts of the country such as New Orleans and the low country of South Carolina. A lot of people still believe in it and, who knows, maybe there's really something to it. I'm always open to learning something new. Never say never! I haven't read her books yet but they sound like so much fun, can't wait. What an interesting post. Now you have me wanting to read more about this. I hadn't really heard of hoodoo before I read about this book a few weeks ago. I was fascinated then as I am now. I think it's very neat to learn a spell. I believe there is magic in the world, I don't think I have any of those abilities. Interesting uses for Frankincense and Myrrh. Unless I learn about hoodoo from an expert, there will be no conjuring or anything like that. I am very respectful and careful about that stuff. The book sounds really good though so I'm going to have to check that out. What an interesting post, I never have dabbled in hoodoo but frankincense for a peaceful sleep may be a good idea for my husband. I need to read your book the storyline is intriguing. And maybe get the other book too! Love this, =) i´ve always been interested in hoodoo and other forces than the ones we can see or touch. Can´t wait for my chance to read Nolan´s take on this. I haven't really heard of Hoodoo before, but see I'm not really very spiritual at all. Soooo I think the "spell" is a little weird.